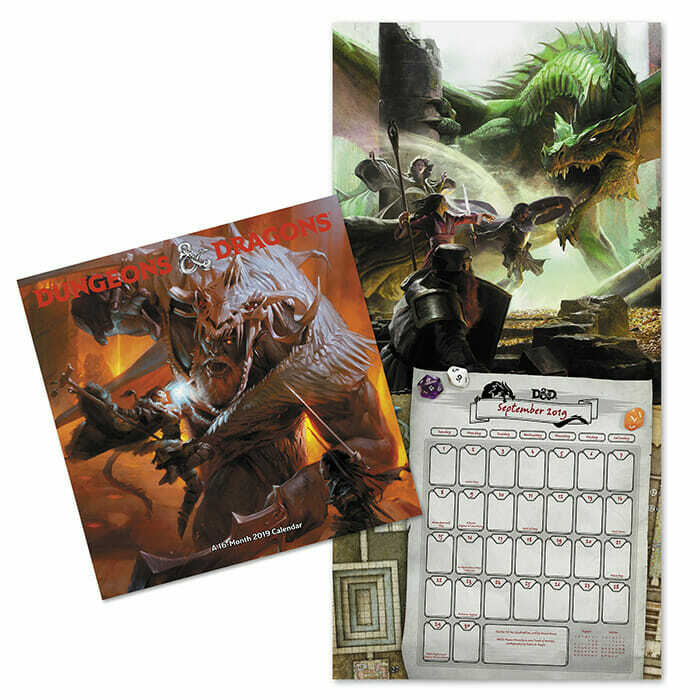 Think Geek has put a 30% price reduction on the official .2019 Dungeons & Dragons wall calendar. This is a 16-month calendar with the extra four months on the 2018 side. As 2019 is fast approaching and we’re all in a festive shopping frenzy; those smart monkeys have put the 12″ square calendar into the sale. The D&D calendar is an officially licensed product that uses monster art to get you through the ear. 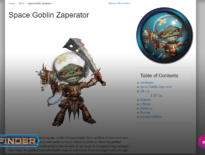 Each month as its source listed, so you know which set of rules you need to look into if you want to throw the monster-of-the-month at your players or write up a dangerous encounter for your PC’s background. The discounted calendar will set you back just over $10. There’s a catch. Think Geek’s free shipping on orders over $35+ and get it in time for Christmas expires noon today (13th).